These Pascal MXM modules offer professional NVIDIA performance, features, SDK and API support, exacting build standards, rigorous quality assurance, and broad ISV application compatibility as well as long life availability and engineering support. 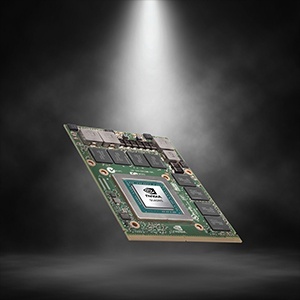 Designed for the needs of embedded, ruggedized, or mobile system builders, these products make NVIDIA Pascal architecture graphics and compute capabilities available to form factors unsuited for traditional PCI Express expansion cards. Pascal MXM modules are ideal for blade or other deployments where high GPU density is an important consideration, they tolerate wide ranging thermal and other environmental conditions, offer GPU memory capacity options, extremely reasonable power requirements, and feature flexible display output options. Whether you’re developing revolutionary products ranging from advanced medical imaging to sophisticated signal processing, or breakthrough machine/deep learning technology, even mission critical defense systems, NVIDIA Pascal MXM gives you the performance to expand the boundaries of the possible. Do you have an embedded project that needs a GPU Performance boost?